A rhinoplasty is a surgical procedure to alter the shape of the nose. A septorhinoplasty is a procedure that also addresses the nasal septum (middle wall inside the nose) to improve nasal breathing. In Ontario, a septorhinoplasty can be an insured service if it is performed to improve nasal breathing. However, it requires a letter of permission is written to OHIP prior to the surgery. Any alteration of the nose for cosmetic purposes is not insured and the cost of the procedure falls on the patient. This cost includes the surgeon’s professional fee, the anesthetist’s fee, as well as the facility fee to cover the cost of anesthetic medications, nursing, supplies, and instrument processing. However, correcting your breathing AND making changes to the shape of your nose can be combined with a portion of the surgery covered by OHIP and a portion covered by the patient. If you have any desire to change the external appearance of your nose and do require surgery to improve your breathing, it is in your best interest to have both procedures done during the same surgery. This is because rhinoplasty techniques often require cartilage grafts that are harvested from the septum. If the septum is deficient in cartilage from previous surgery, a rhinoplasty surgeon may have to then rely on an ear or rib cartilage. What To Ask Before Rhinoplasty? When seeking out a rhinoplasty surgeon ask whether the stated fee includes all aspects of care. If it is purely the surgeon’s fee. Professional fees vary widely between surgeons based on the surgeon’s overhead, waitlist, and training and paying more does not always guarantee a better surgical result. It is also important to evaluate your surgeon’s understanding of nasal physiology. A rhinoplasty surgeon that that fails to examine and discuss your nasal airway during a consultation, even if you only have pure cosmetic concerns, may not be your best choice. The many surgical maneuvers performed to refine a nose often have detrimental long-term effects on your nasal breathing by weakening it and leading to nasal airway collapse. The factor that separates average rhinoplasty results from excellent results is the durability of the changes achieved. And the preservation of an unobstructed nasal airway. Many great rhinoplasty results are terrible results even just 3 years later as scar contracture causes nasal changes and airway collapse. These changes can be avoided by the proper use of structural nasal grafting with cartilage. Dr. Brace has world-class training, skill and experience in rhinoplasty surgery and revision rhinoplasty. 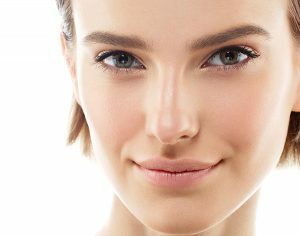 He uses the most up-to-date and cutting edge rhinoplasty techniques that incorporate structural cartilage grafting when appropriate. Whether your nose requires minor modifications or major reconstruction, Dr. Brace can help you achieve long lasting, natural looking, results with maintenance or even improvement in your nasal breathing. Dr. Brace is a nasal airway specialist that teaches rhinoplasty and nasal airway surgery to surgical residents. He has presented advanced surgical rhinoplasty techniques at national and international surgical meetings to fellow surgeons from around the world. Book an appointment with Dr. Brace to discuss your specific nasal concerns and he can counsel you regarding how to achieve your goals and make them last. Typically a rhinoplasty procedure can take anywhere from 1.5 hours to 4 hours depending on what is involved in the procedure. Will I have a cast after surgery and for how long? Yes, you will go home with a splint on your nose and this will stay in place for the first week. When Dr. Brace sees you at your 1-week post op appointment he will gently remove this. After this, you will not be required to have anything visible on your nose. How long does the bruising under my eyes last? Bruising and swelling will usually subside 1 week following surgery. However, can take up to 1 month to go away completely. Dr. Brace can treat the under-eye area with our VBEAM laser to help speed this process up if necessary. Will I be able to breathe through my nose after surgery? Dr. Brace will send you home with packing in each nostril following surgery. The packing will stay in place until the following morning when you will be given instruction on how to safely remove it. Once the packing is removed you will be able to breathe through your nose. Will there be visible incisions on my nose? With some rhinoplasty procedures, Dr. Brace can do everything endonasal which means no incision will need to be made on the outside of the nose. If an open rhinoplasty is performed, a small incision will be made on the columella which in time heals to a faint white line that is almost invisible. Can I go back to my regular routine a week after this surgery? One week following rhinoplasty you will be able to go back to work however you will need to be on light duties for the first 3 weeks following surgery. This means no exercise or heavy lifting. How do I blow my nose after surgery or when is it safe to? Dr. Brace recommends no nose blowing for 2 weeks after surgery. Instead, use a gentle saline wash like a NeilMed sinus rinse to clean your nose. Nose blowing after surgery could lead to a brisk nosebleed. How long will I need to sleep upright after surgery? There are no restrictions on the position you sleep in, aside from not laying on your face, to avoid pressure on the nasal bones and disruption of their position. Sleeping upright will help with minimizing the swelling and you may choose to do this for your own comfort. How long until all the swelling is gone and I see my final result? After a Rhinoplasty procedure, 50% of the swelling will be gone in the first 6 weeks, 90% by the 3-month mark and the last 10% at the 1-year mark following surgery. You will be seen for a series of follow up appointments after the procedure to monitor your healing. Should I avoid wearing glasses/sunglasses after and for how long? Yes, Dr. Brace will ask that you refrain from wearing heavy glasses/sunglasses for the first couple of weeks following your procedure. In most rhinoplasty procedures the bones do need to be broken. It is important while these are healing not to put any pressure on them. When is it safe to travel/fly after this procedure? After any type of cosmetic surgical procedure, we ask that you refrain from travel for pleasure for 4 weeks following surgery. If you are traveling for work and will only be gone for a short period of time, that is acceptable. While you are in the early stages of recovery we want to make sure you are around the clinic to be seen should you have any questions or concerns.